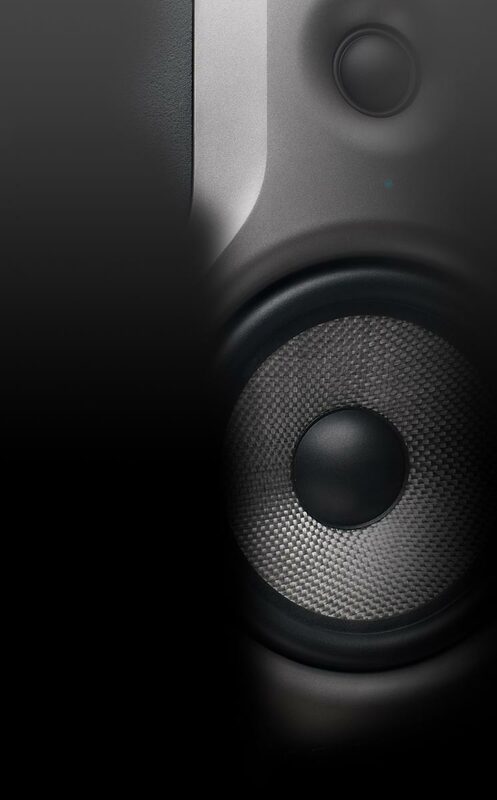 sound and therefore brings the subtle nuances of your sound fully to bear. 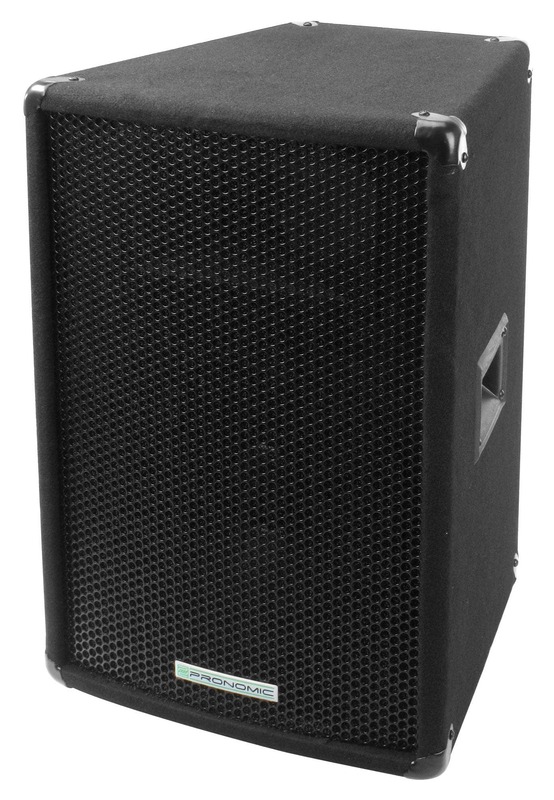 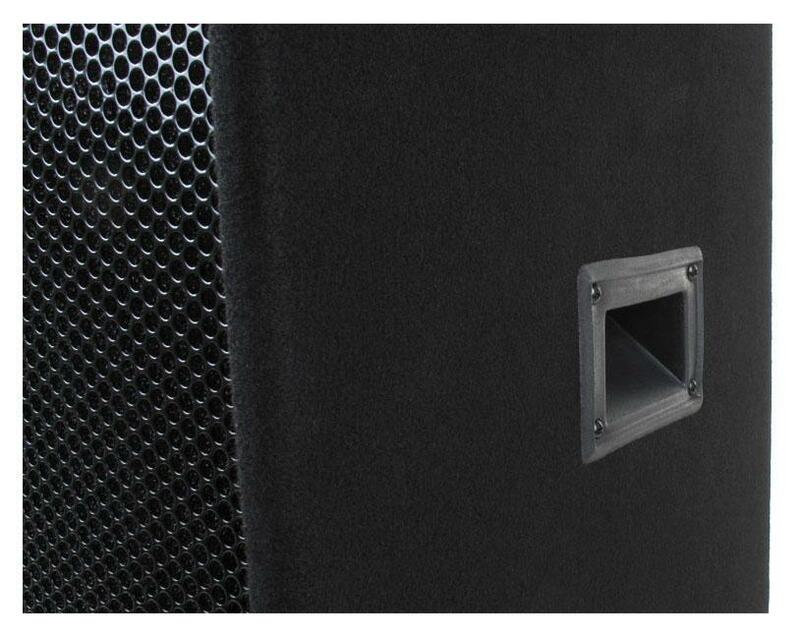 The black metal grille and the sturdy, carpeted surface provide for the necessary visual durability and both handles on the side of the housing ensure convenient transport. 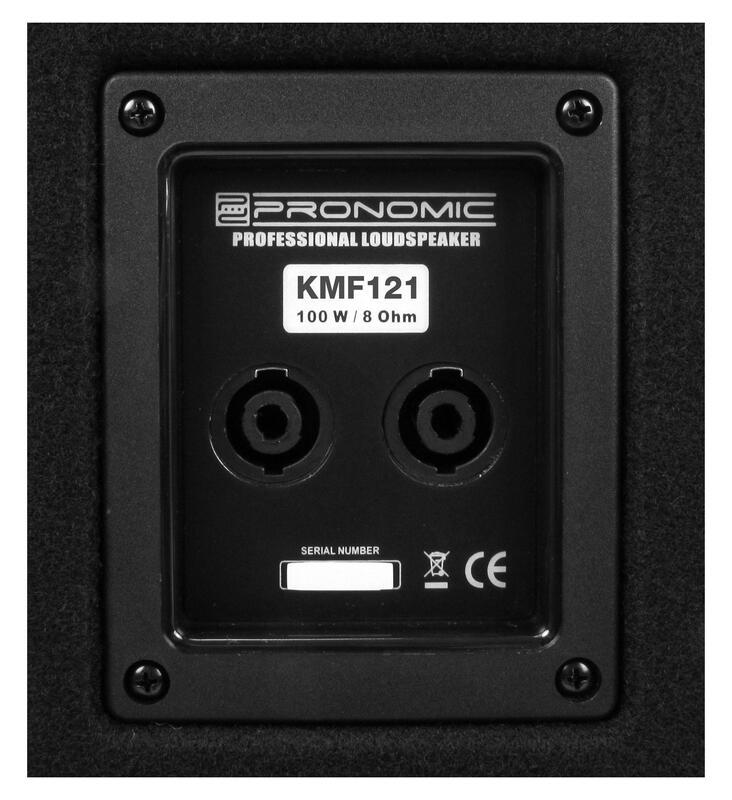 With the integrated pole mount allows the KMF-121 mount on any common stand. 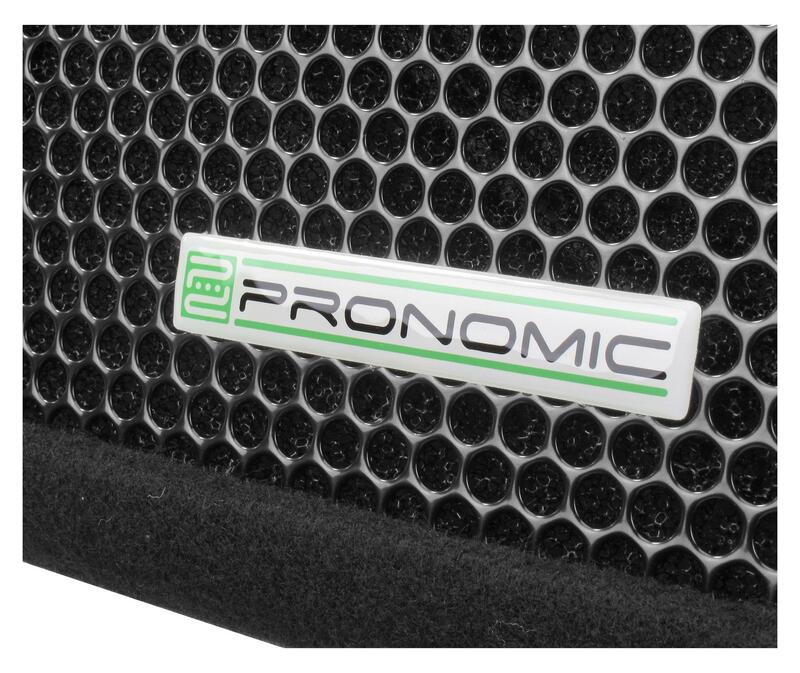 For the best sound and the best possible power efficiency, we recommend the combination with the Pronomic Pro-18 subwoofer.